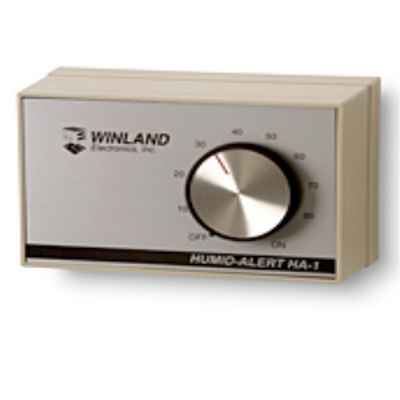 Wall console-type humidity monitoring device with easy to use setting dial. Applications include computer rooms, energy management systems, office areas, museums, document storage areas and greenhouses. 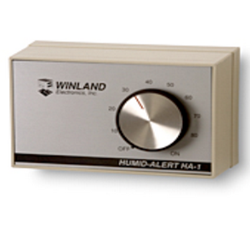 With nylon banded sending element, this unit monitors a range of 20% to 80% RH. 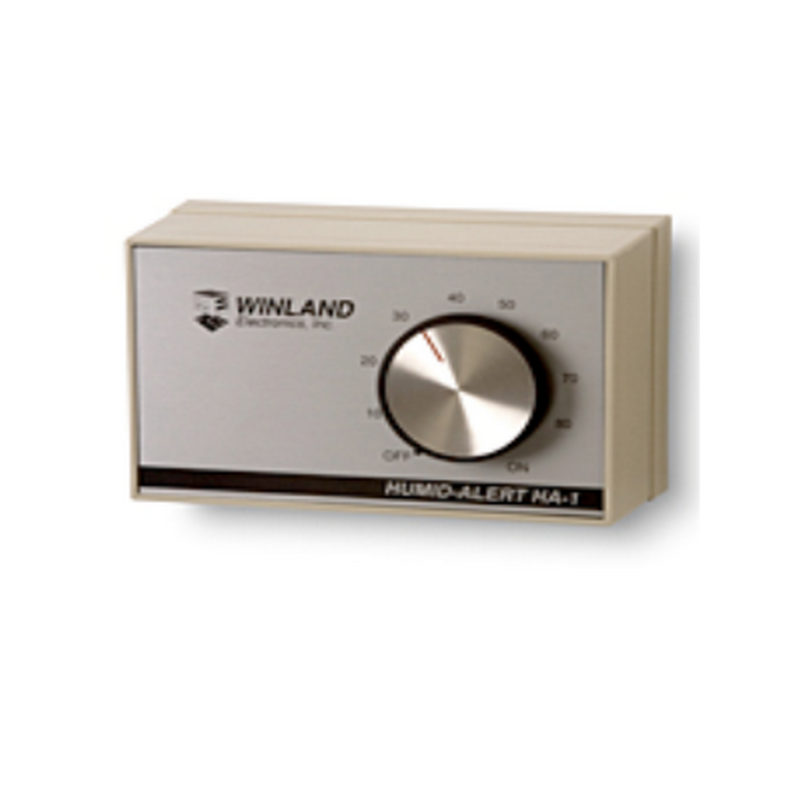 It requires no power to operate and can activate alarm systems, controls, and digital communication equipment through the SPDT output switch.